I have previously given "Snap Circuits Jr. SC-100 Electronics Discovery Kit" as presents and it was very well received. So this time round, I thought that the kids can have and extension to their base "Snap Circuits Jr. SC-100 Electronics Discovery Kit" and learn about alternative energy. The original set shipped in free from Amazon without any issues. However, for the Snap Circuit Alternative Energy set, I was not able to select the free international shipping, even though this product appear when I have selected "International Shipping" and "Free International Shipping". So I contacted Amazon's customer service for support, the customer service explained that there is a limit to the size of the package for free international shipping which "Snap Circuit Alternative Energy" set exceeds. Then I asked politely, if there is anything that the customer service can do to help me with this. And the customer service graciously offered to waive the shipping for me! Woo Hoo! 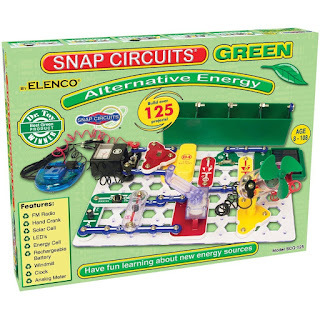 No Comment to " Snap Circuits Alternative Energy Green, from Amazon "